At the beginning of the year, each class from Years 3-6 votes for two children to represent them and to be members of the school council. 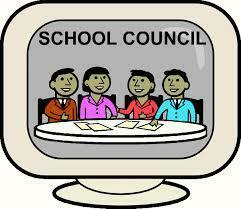 The School Council is basically the ‘voice’ for all the children at Hereward. There are monthly meetings where all manner of things are discussed. This year the School Council will be discussing ways to improve behaviour in the dining hall and how to keep cloakrooms tidy throughout the year. As usual, they will also be running fruit and vegetable stalls to promote healthy eating and to raise money for the School Council.